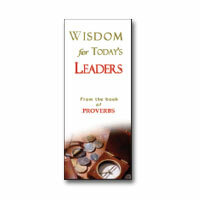 The book of Proverbs is one of the most enlightening books of all time. It came about because a man made a wise choice. This man was a king who had a spiritual dream in which God came and offered him anything he wanted. King Solomon chose to have wisdom and understanding above all fame, riches, honor and greatness. Little did he realize the value of his choice. Because he attained wisdom, he became the most honored and richest man of his time. His fame went throughout the entire known world and even today is read by millions of people every year. King Solomon wrote his experiences as he found them. These writings are not a philosophy, but are God’s wisdom for living. One of the greatest lessons of wisdom in Solomon was that he ruled 40 years without war. He had the same enemies that Saul and David did, but was at peace with them. They favored and respected him, which helped to make him great. His words of wisdom will do the same for us. When you seek wisdom you will find the Kingdom of God.